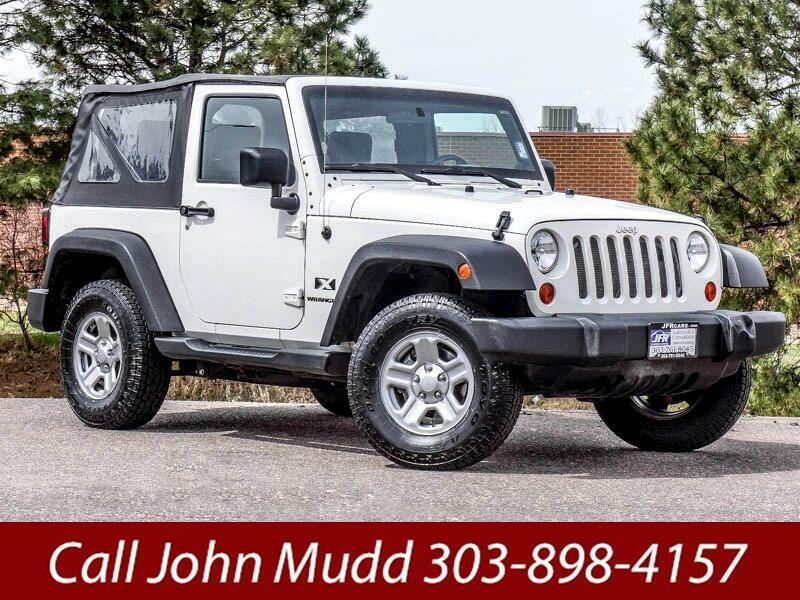 Used 2009 Jeep Wrangler X for Sale in Littleton CO 80120 JFR & Associates, Inc.
You can't beat this Wrangler X for its heritage and no compromises off-road ability. If you want to reach those remote locations with four wheels and a roof (rather than with hooves and four legs) then here's the SUV that can get the job done. The interior is designed to play in the dirt and mud with you, and it's easy to clean and maintain. This Wrangler is easily one of the most popular and exciting vehicles to drive given that you can go just about anywhere you want to go. Call today and find out why our customers believe this is one of the most fun vehicles to own. This Wrangler handles great and is roomy on the inside and offers an awesome ride. You are cordially invited to take this iconic Wrangler for or a test drive and discover for yourself why this SUV is so popular... and why there are legions of fanatically loyal owners. Contact us today and schedule your test drive. Once you own a Jeep, I can assure you that there will be other Jeeps in your life. This Wrangler is by far, the most fun vehicle to own. There is nothing like owning a Jeep. Call John Mudd at 303-898-4157 if you have any questions or if you would like to schedule an appointment to see this vehicle.